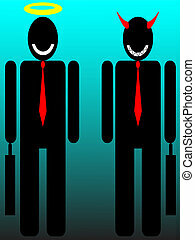 Businessman devil angel. 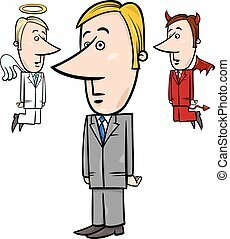 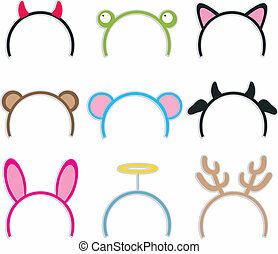 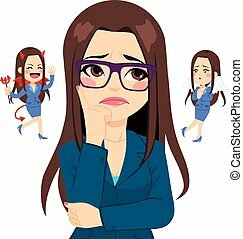 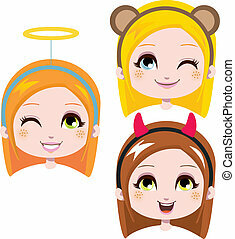 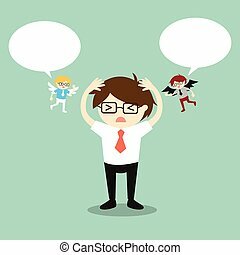 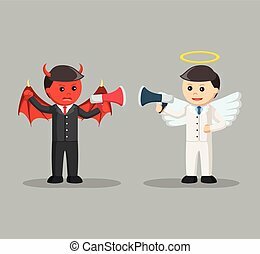 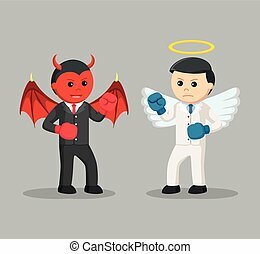 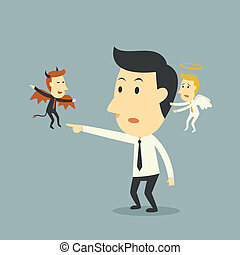 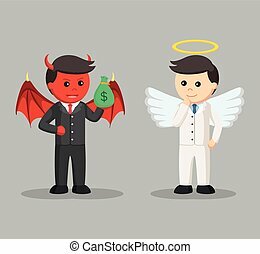 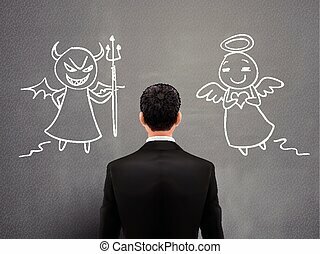 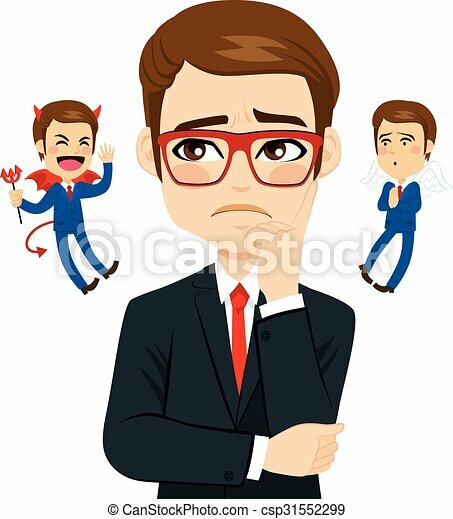 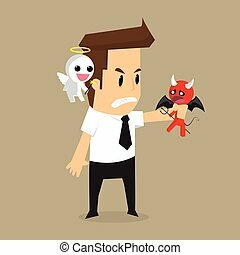 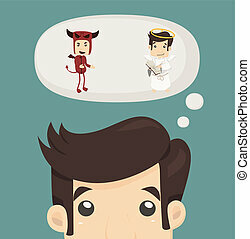 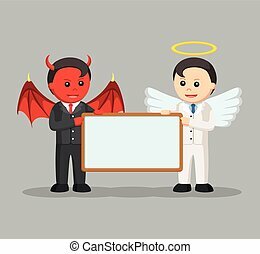 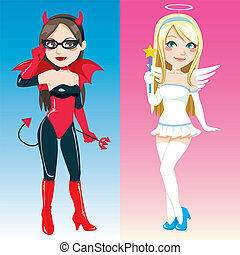 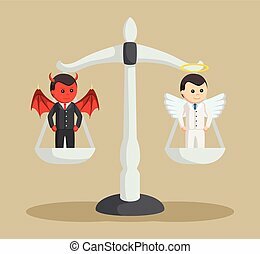 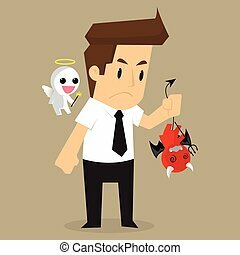 Businessman listening to an angel and a devil taking decision. 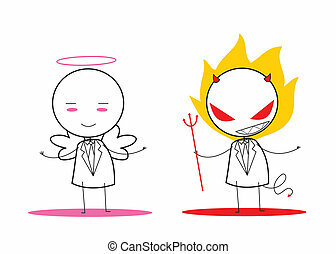 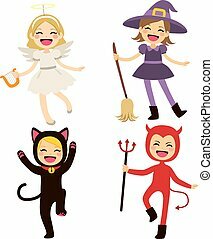 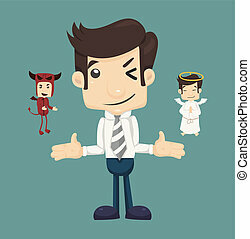 Businessman with angel and devil and bubble speech.